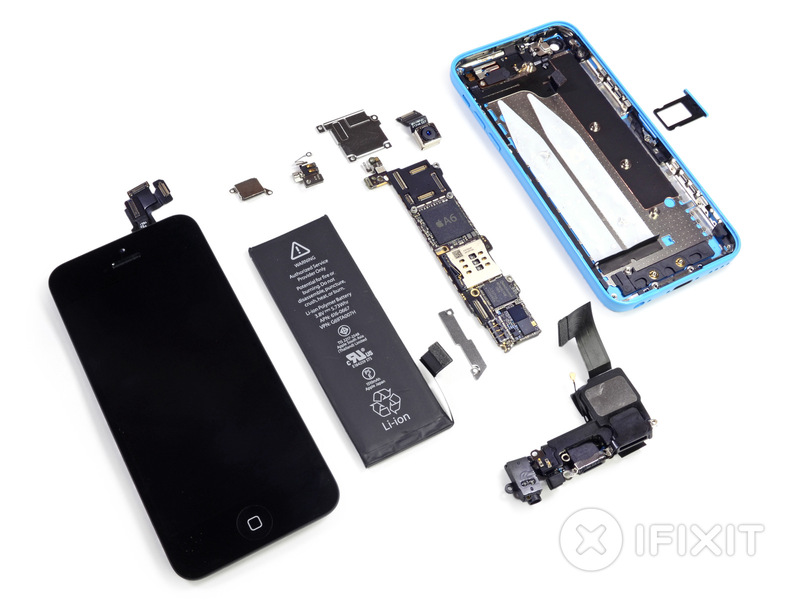 Since iFixit tore down the iPhone 5S and iPhone 5C shortly after launch to discover just what powers those devices, a detailed chip analysis was performed by Chipworks which found the new A7 chip to only be dual-core. Since this, research firm IHS Suppli have crunched some figures in their spreadsheets to discover just how much they think the iPhone 5S and iPhone 5C costs to build. According to the research, the iPhone 5S comes in at around $199, with the polycarbonate-based iPhone 5C costing in at $173. According the findings of an IHS report coming tomorrow (but shared with AllThingsD today), Apple spends at least $191 on components to build a 16-gigabyte iPhone 5S. The cost rises to $210 for a 64 GB unit. The cost of assembly adds another $8 per unit, bringing the range to between $199 and $218. It’s worth keeping in mind that these prices cover only the parts and assembly; they do not take into account the manufacturing, advertising, packaging, distribution, research or development. Apple sells the unsubsidized iPhone 5S for $649 to $849, depending on storage capacity. The off-contract iPhone 5C comes in at $549/$649 for 16/32GB model. The estimates from IHS are for the entry level variant of the iPhone 5S and iPhone 5C, but even so Apple is making a fair margin on each device. Last year the same firm estimated the iPhone 5 16GB version cost $199 to build. It is claimed that the extra $26 difference in savings to the iPhone 5C model is achieved through refinements in the manufacturing process, allowing Apple to increase their profit margin through more efficient methods. What is interesting is the fact that the iPhone 5S costs only $26 more to make than the iPhone 5C; of which that includes the 64-bit A7 chip, the new M7 motion co-processor, Touch ID fingerprint sensor, and upgraded camera. Not bad for $26 hey!